is our destination. After climbing 3 days uphill you begin to wonder if you will ever make it. 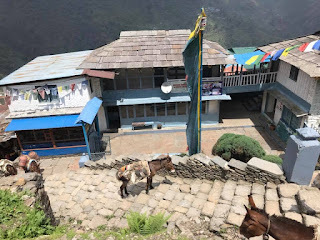 Dhal Bhat, the traditional dish of rice, lentils and vegetables is popular amongst locals and trekkers, a perfect cocktail of carbs and protein to fuel your ascent. Although it does very little when you have those sweet cravings along the way. 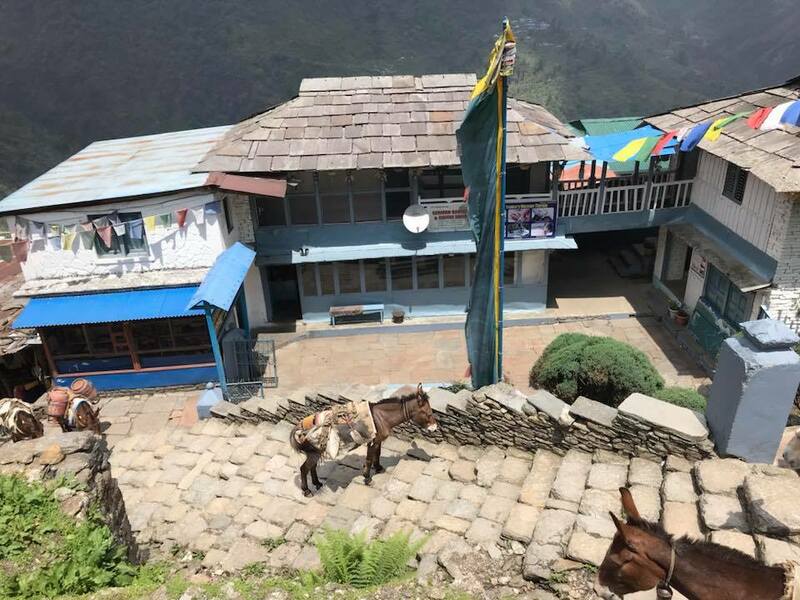 Here is where the popular village of Chomrong situated on a stone terrace, and the last inhabited village before you step into the oxygen deprived is a welcome site on the return journey. After spending your last bit of energy climbing the 2300 steps you see the welcome sign of a German Bakery selling everything from good cappuccino, chocolate cake, cinnamon rolls. After the first bite the sugar rushes into your bloodstream, whilst the lactic acid drains from your quads,suddenly the hard days work fades into the background as sit and gaze at the snow capped mountain and terraced hills that you have just concoured.